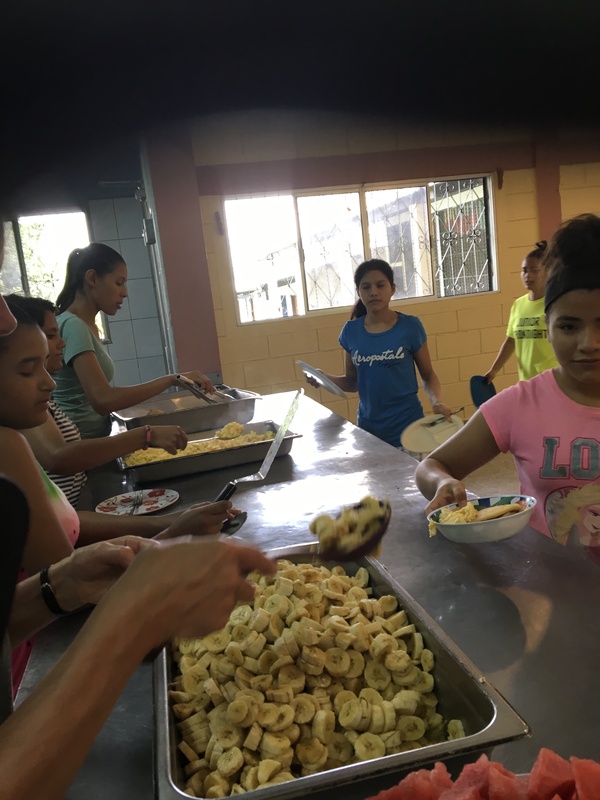 MISSIONS OF HOPE is an extension of The Hope Chest for Women, Inc. Twice a year, the Missions of Hope teams travel to Santa Barbara, Honduras. 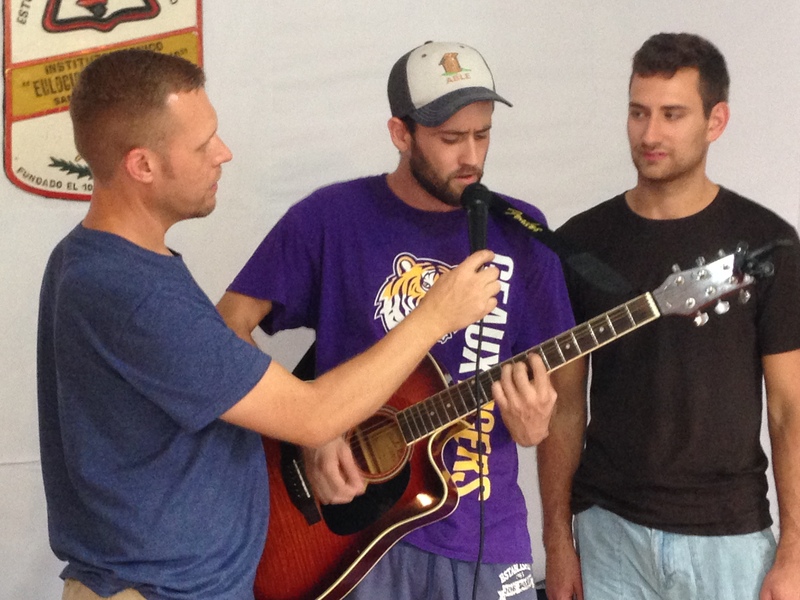 In that pueblo, God has opened several doors of ministry for us. 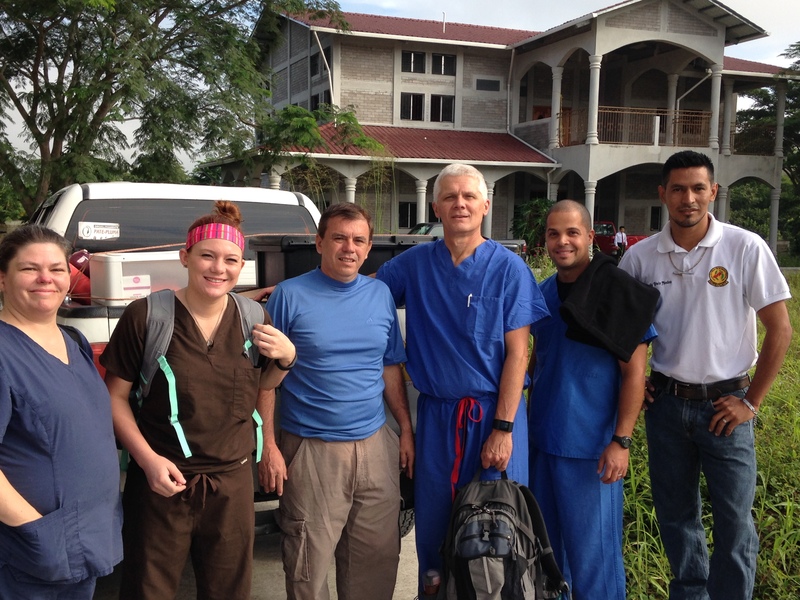 We send surgical teams to work with the local hospital and family practice doctors to provide medical care in various area clinics. 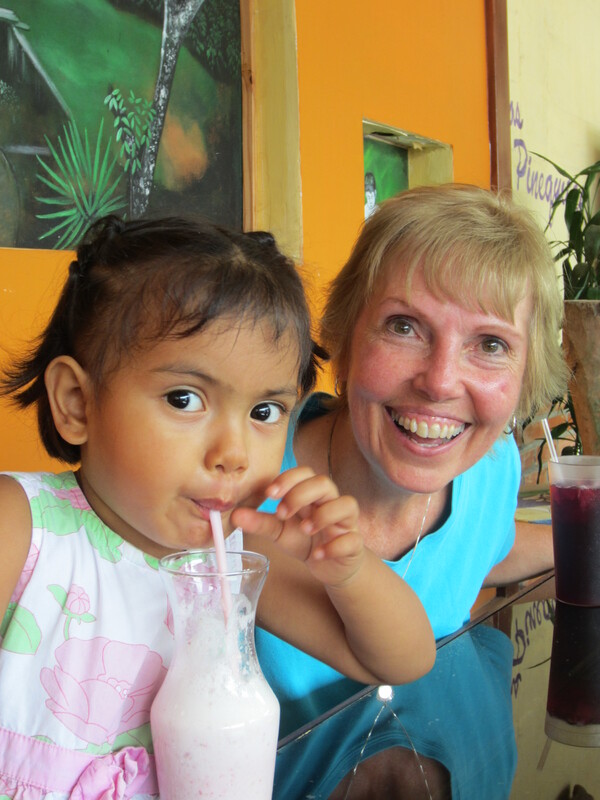 We assist the children and staff at the Hogar de Niños orphanage. We love on the children. We volunteer in the mission school. We make repairs to everything from buildings to bicycles. 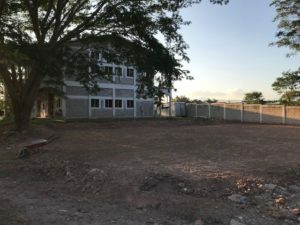 We are near completion of a Women’s Cancer Clinic. The donated diagnostic equipment used in our clinic will serve many thousands of women living in the mountains of Honduras. Regardless of the time, money, and energy we invest in Honduras, we always come away feeling we have received the greater blessing. Hardly anything compares to seeing women’s tears of joy or relief either due to a favorable diagnosis, a successful surgery, or just because she knows someone cares. Our hearts overflow when a child hugs us as though they will never let go. 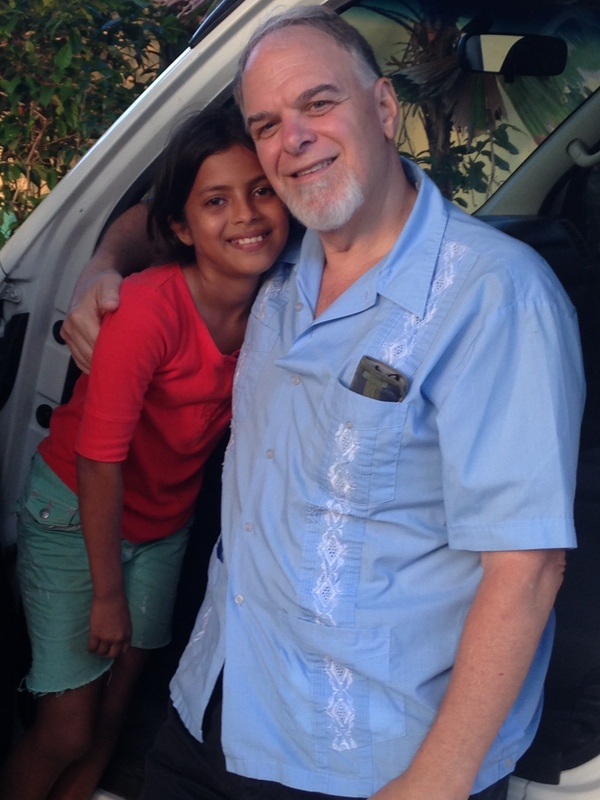 Even in their poverty, the people of Honduras have made us rich. 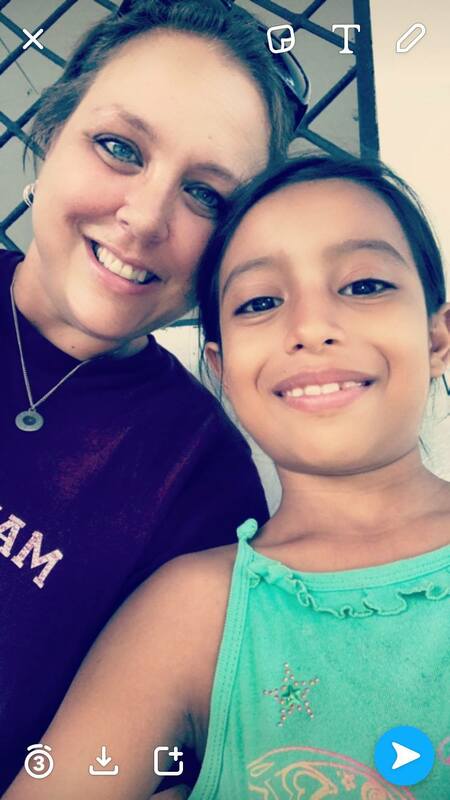 Our next medical team returns to Honduras from February 22-28, 2019. A Respite team plans to travel to Honduras this July. If God puts this mission on your heart, please let me know. With thanksgiving, our team of 16 returned safely to NC in early November, arriving home around midnight. We had a fruitful trip! In our imaging clinic, Hogar de Esperanza, James, an IT whiz, ran cable from the internet source to all the imaging equipment, making it possible to send the images to the US to be read by radiologists here. We hope to actually send some images when we return in February, 2019. We are hoping our NGO status will be approved by then as well. Lincoln and David, with the help of others, including the boys of Casa Banks, prepared the boys’ playground area next to Casa Banks. The prep required about 10 hours of dozer work and 20 loads of dirt. On our last afternoon in Santa Barbara, grass seed was sown. On our next trip, we hope to build the playground equipment. A friend of ours in Honduras is making two soccer goals as well. 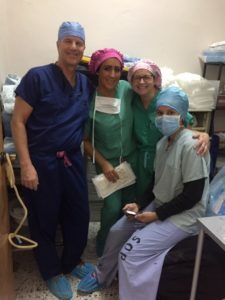 The surgical teams, led by Dr. Williams and Dr. James and assisted by Mike, Mandy, Karen, Jenesis, John, and Donna, completed around 30 surgeries, some of them quite difficult. 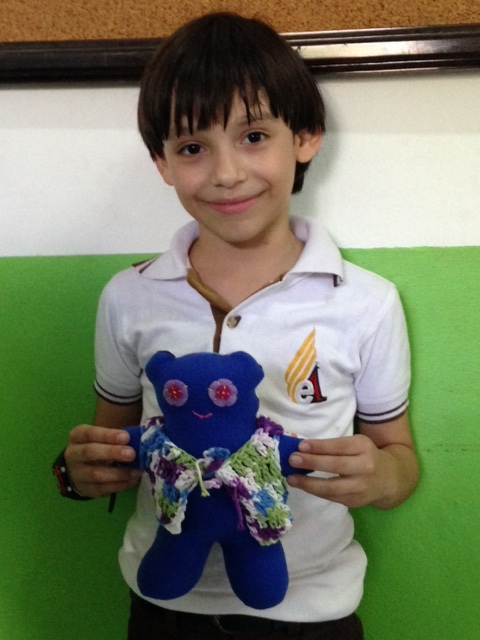 We are thrilled that Oscar, who was raised at the Hogar de Niños Orphanage and in pain for several years, had a successful hernia operation. The pancake breakfast was a great hit as usual (can those kids ever eat pancakes!). 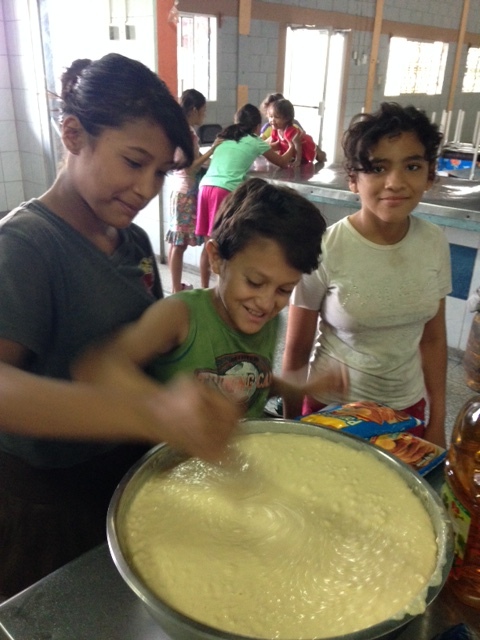 Angie, Alex, Teresa, and Rosemarie also fixed a spaghetti supper for the kiddos. They ate their weight in noodles I have been told. Once again, we are so thankful for your prayerful support of this labor of love. 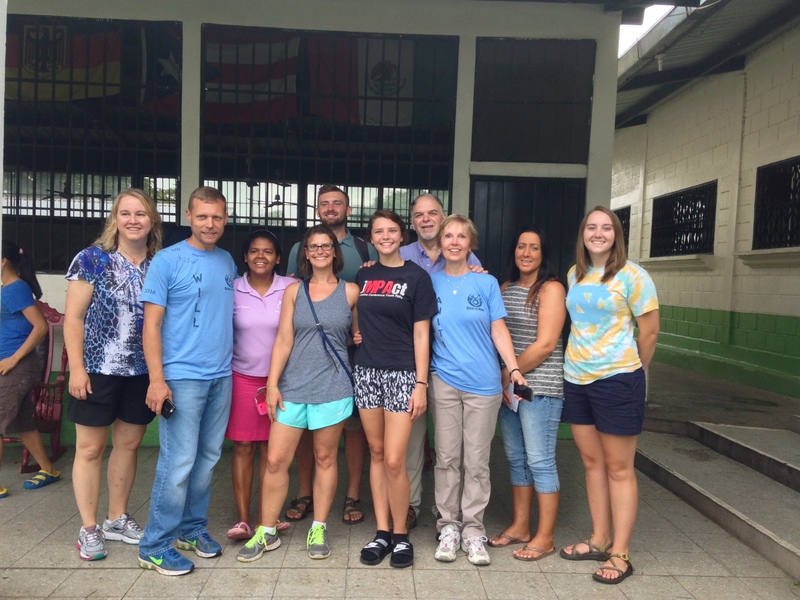 Two of our team members wrote brief reflections about their first-time adventure in Honduras. You can read about their experience and see photos below. 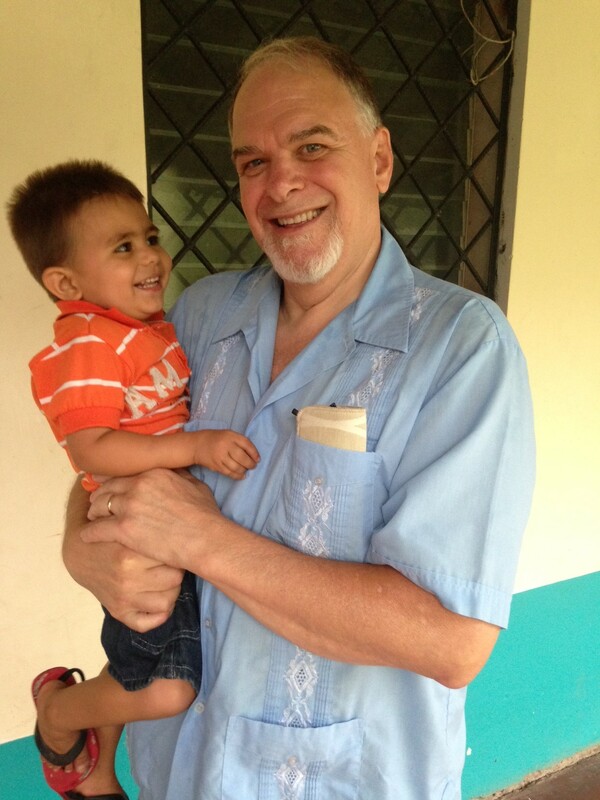 We recently returned from our respite trip to Honduras. I hope you enjoy Anita’s reflection and a few photos from this trip. Thank you for your prayers and support! The respite team had a great trip! I hope you’ll read Anita Lovejoy’s reflection. Also, check out the photos below. 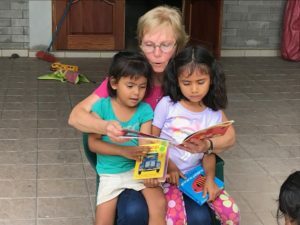 I recently returned from a one week trip to Honduras. 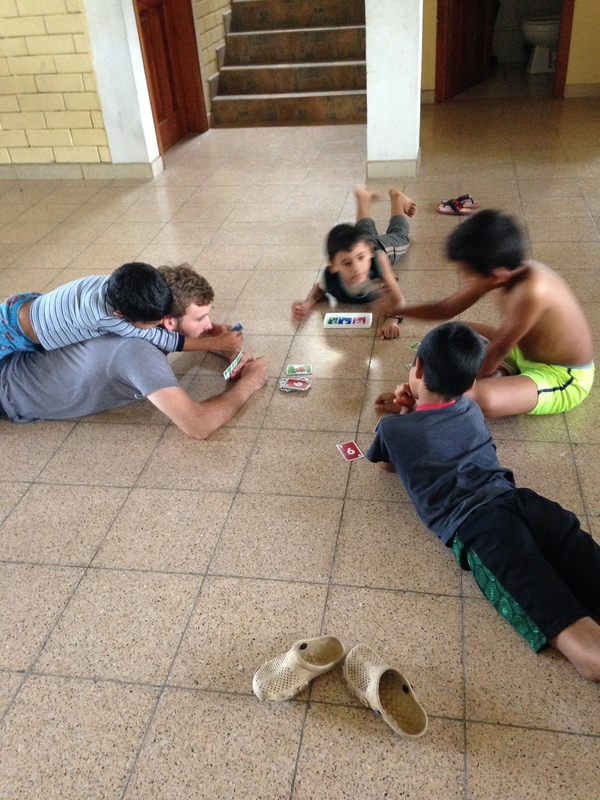 In some ways, it was the best week I have spent in Honduras. I penned a few of my reflections about my days there. You will find the link and some recent photos below. Blessings, Owen. My wife and I and 10 other volunteers will be heading back to Santa Barbara in July. 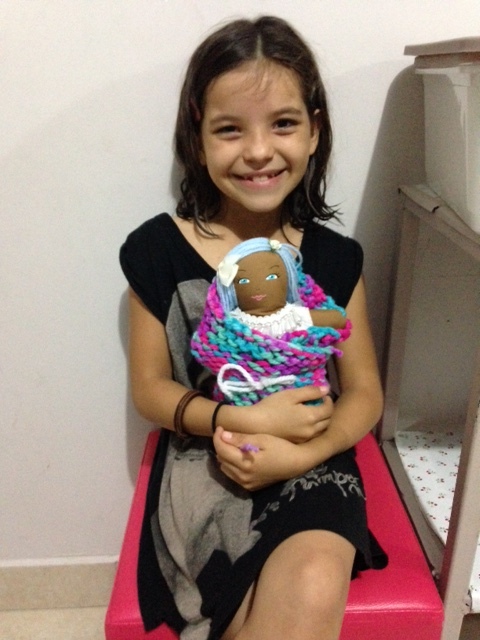 Our goal is to offer a few days of respite to the Hogar staff who basically work or are on call 24/7. Please pray for our team! If God so moves you, we would appreciate your financial help as well! For a tax-exempt contribution make your check out to The Hope Chest for Women and write Honduras Respite Trip in the memo. Mail to PO Box, 5294; Asheville, NC 28813. Thank you mucho! We recently returned from our spring, 2016 trip. 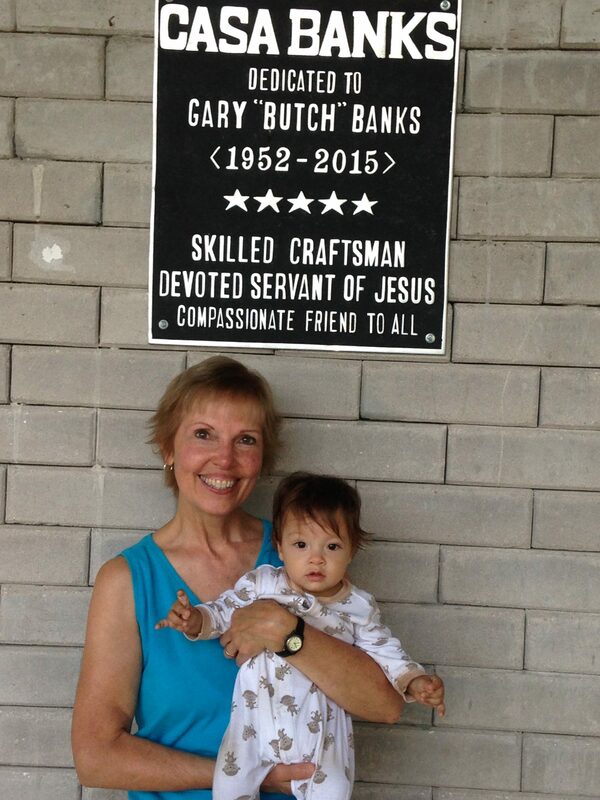 My wife, Anita Lovejoy, made the trip with us for the first time. She wrote about her experience in the reflection below. Although Santa Barbara differs little from other towns in Latin America, it has become a place of great importance to a small group of U.S. citizens. The Hope Chest for Women, a non-profit organization in Western North Carolina, has been actively involved in the lives of Santa Barbara’s populace for twelve years. 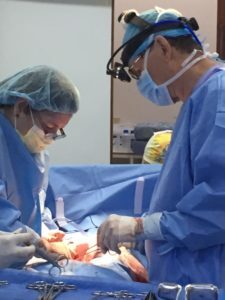 Missions of Hope is our international outreach program that strives to bring access to care for breast and gynecologic cancer patients in rural Honduras. Our teams, led by Dr. Nathan Williams, meet medical needs-some of them dire, to diagnose and operate on simple to complex female cancer cases. 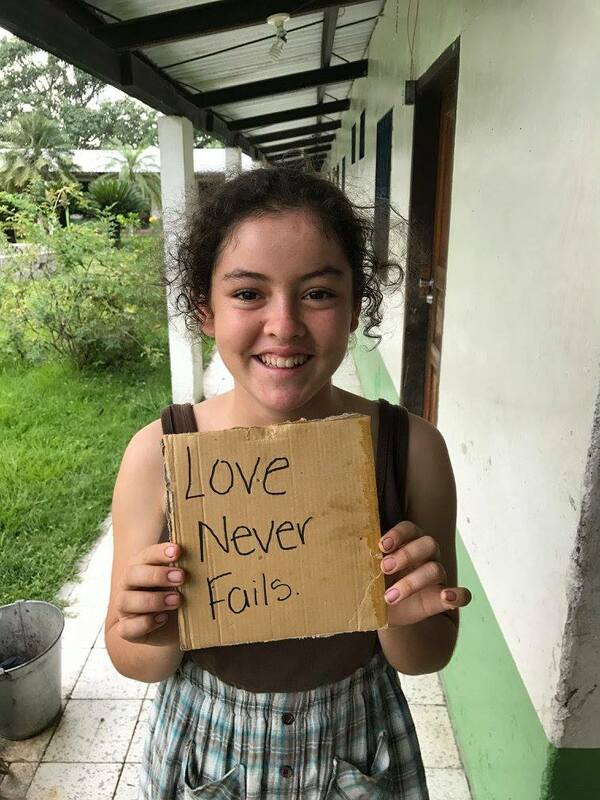 Another focus is to love on orphans at the Hogar de Niños orphanage, assist in the mission school, and help with construction projects at the orphanage. Like most mission ventures, the needs surpass our ability to meet them. We continually look for willing hearts and hands to partner with us in this labor of love. Doctors, nurses, construction workers and kid-lovers are greatly needed. 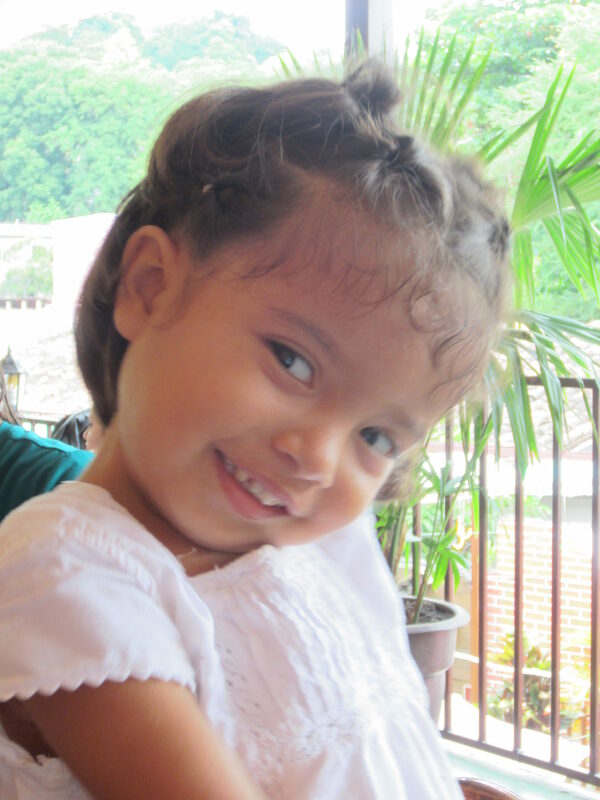 Your involvement can make a tremendous difference, sometimes a life-and-death difference, to the people of Honduras. Please contact Owen Lovejoy, owenhopechestforwomen@gmail.com, if you are interested in joining our group or would like more information. The colonial town of Santa Barbara is located in West Central Honduras (see map below). Santa Barbara does not differ much from most other pueblos of its size in Honduras, or in Latin America for that matter. The town is rich in history. Small shops and restaurants share space with outdoor fruit and vegetable markets along the downtown streets. Row-upon-row of vendors sell mangoes, oranges, bananas, pineapple, avocados, papaya and other native, seasonal fruits and veggies. In spite of the town’s charm, most folk are poor, at least by our standards. They work hard and innovate just to get by. 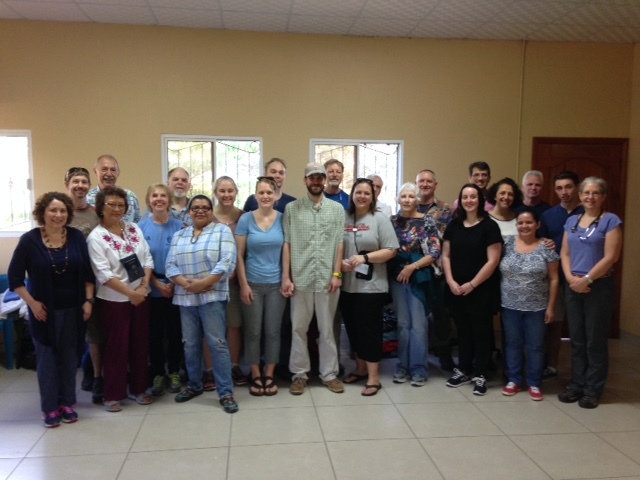 Our teams include medical professionals, translators, and other volunteers. We see patients at clinics, follow up with surgery when needed, give medical check-ups to the children at the orphanage, and more. On our last trip (March, 2016), around 75 women were seen in the clinic and 16 surgeries were completed by two of our surgeons. 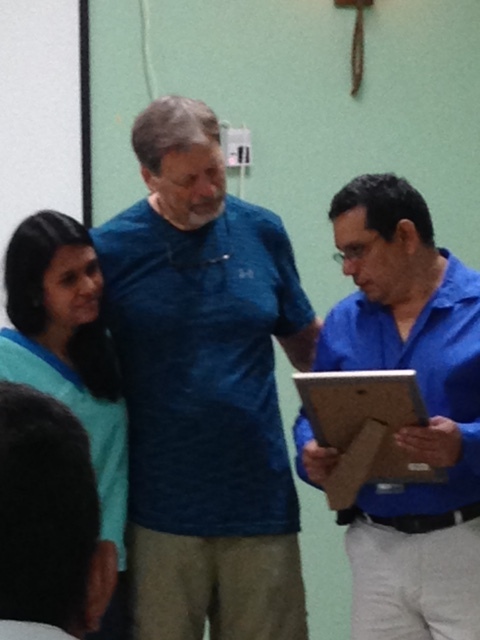 In Honduras they really need better permanent diagnostic technology and visiting trained medical specialists. 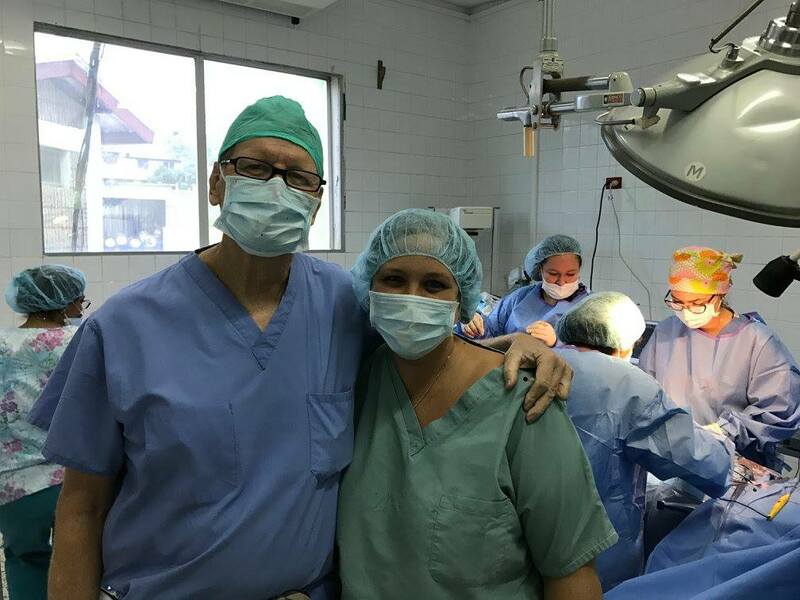 On our medical mission trips there is a real need for urologists, dermatologists, dentists, ophthalmologist, internal medicine and ER doctors, physical therapists and other surgical technicians and specialists. Spanish speaking translators are also needed to assist the medical team. We are drawn to Santa Barbara for reasons other than medical missions. 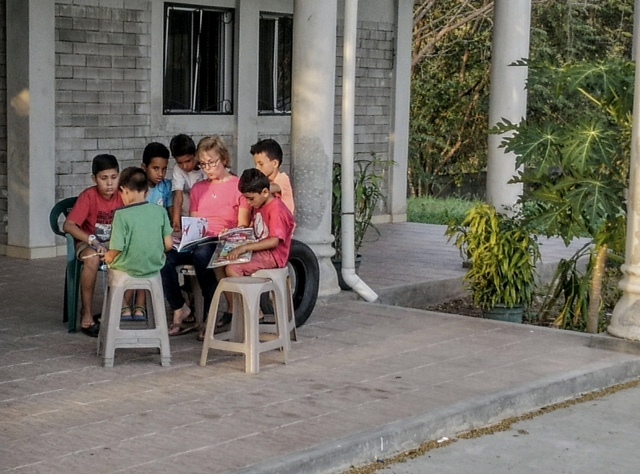 At the Hogar de Niños (Home for Children), located on the outskirts of Santa Barbara, young children tend to steal your heart. 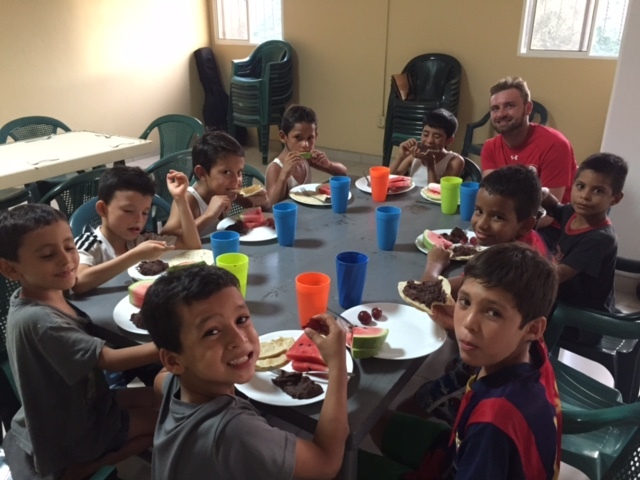 Reach International is the sponsor agency for the Hogar de Niños. 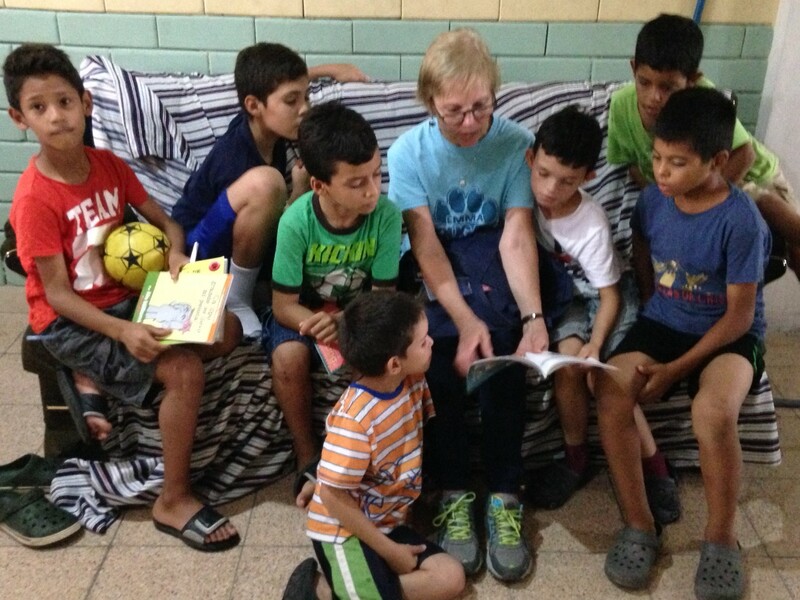 However it is both Hondurans and U.S. volunteers that staff the orphanage. 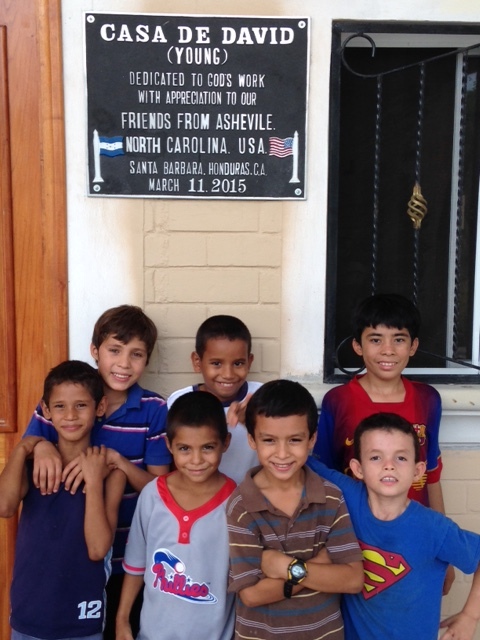 Daina Riley from Asheville, NC is the current director of the Hogar. 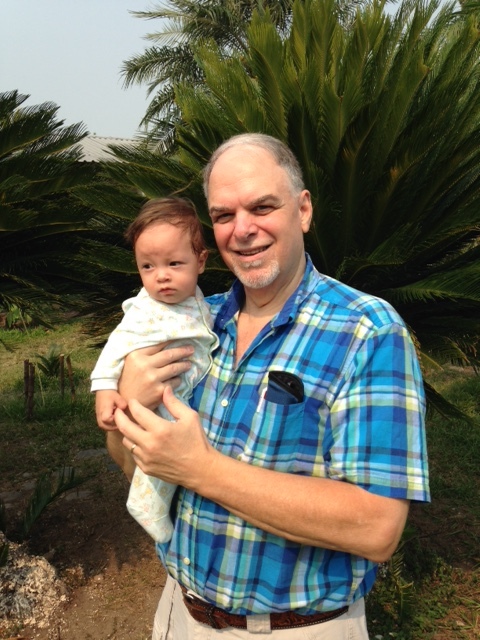 The orphanage is home to nearly 60 children who are orphaned or abandoned by parents too poor to take care of them. 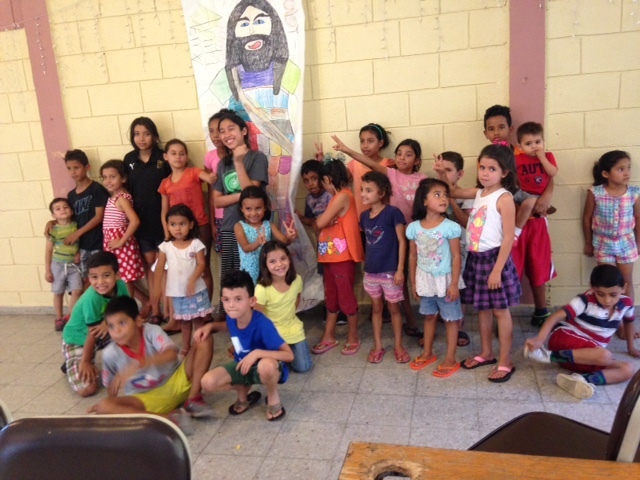 The children attend a mission-sponsored elementary school. The school has built such an excellent reputation that over 200 children from surrounding area pay to attend. 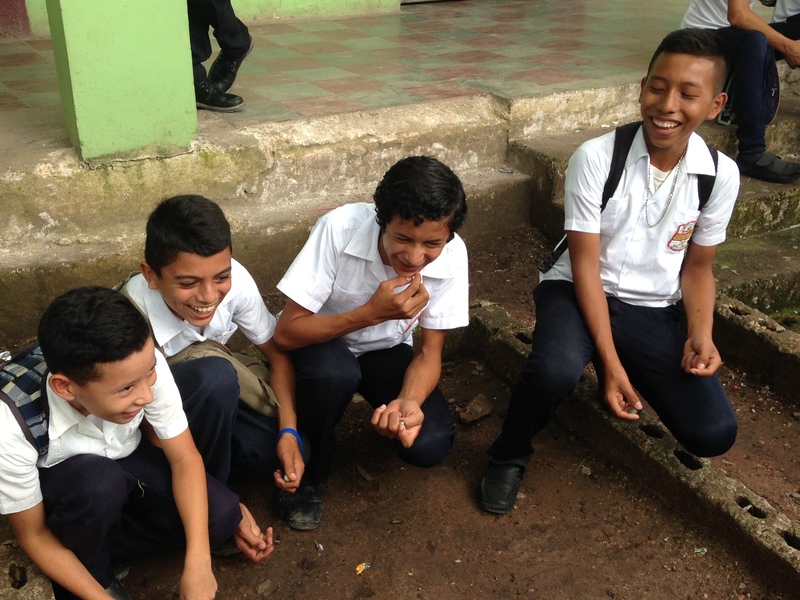 The Secondary School (Colegio) has around 300 students, many of them also from the local community. For additional information, please click below to see more slide shows presented by Daina Riley.